Imagine a computer game becoming real. Not cool if that results in a load of Galaxians running round your front room, but when the game in question is a pinball simulator then that’s a whole different kettle of fish. What I’m talking about here is the news that Silver Castle Pinball has announced on Facebook that it’s to build real, physical Pro Pinball:Timeshock! machines. 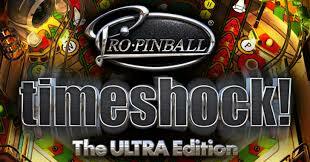 That’s significant because Timeshock!, released in 1997, has until recently only existed as a virtual pinball table, originally in the Pro Pinball series developed by Cunning Developments. A Kickstarter campaign for a new Ultra Edition of Timeshock! sucessfully completed in September 2013. Now, though, a flipping whitewood has been made, and fully working physical machines will go into production in summer 2015. That’s the plan anyway. It’s also significant because to the best of my knowledge it marks the first time that the virtual arena has been used as a commercial proving ground for a game design before it’s turned into fully working pinball machines that are marketed and sold. Since virtual games can be created and cranked out for less money than physical ones then it would certainly seem to make sense to do so as a matter of course before building the real thing. That would allow for all kinds of fine tuning based on user feedback, or even something as simple as A/B testing: distributing two different versions to two groups of people picked randomly and seeing which one is more popular. It’s something I had the opportunity to discuss with Stern Pinball’s Gary Stern earlier this year, but which he rejected on the grounds that Stern Pinball is in the business of making pinball machines, not computer games. He did believe that a virtual table could add value to a physical machine though, in the same way as offering a video download of a movie that’s sold on a DVD or Blu-ray disc. “Designing a pinball machine is a major task, so it could be that in the future we do a video game simulation of a new machine at the same time,” he said. But making a physical machine from a virtual simulation is something that’s been on the mind of Bobby King. 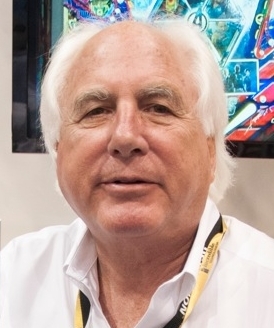 He’s the product development honcho at FarSight Studios, the company behind licensed virtual versions of real games including Cirqus Voltaire and Stern’s Ripley’s Believe It Or Not. The difference is that unlike Stern, FarSight most certainly is in the business of making video games. King says he has spoken to various pinball designers about creating a virtual game which could then be made real game if it proves popular. “If we made a digital table and it sold a million copies and it was feasible to build it in the real world, then I think that design would have to be of interest to a manufacturer like Stern,” he says. This model has been stripped down. But probably not to reduce costs. Inevitably there’s a caveat, and that all comes down to that word “feasible.” The problem is that it’s possible to make wildly complicated virtual games with all sorts of complex features because those features cost nothing to make in the virtual world. The problem manifests its ugly head when it comes to making these tables in the real world: the bill of materials can end up being huge and the cost too high to be commercially viable. Now Silver Castle Pinball have (presumably) looked at Timeshock! and decided that the game can be made in physical form at a cost that’s acceptable. Either there’s nothing in there that’s too complicated to make for real, or some features will have to be modified or removed to keep the bean counters happy. It wouldn’t be the first time that that has happened. Who are Silver Castle Pinball? Will the machine actually get made? Will any features be stripped out? How many games will be made? And who will make them? So far Silver Castle are keeping schtum, but more will be revealed in early August in a full-sized article and official announcement over at Pinball News. I would like to see more women in the pinball community! I bet you would too. But putting random porny pictures of women for the purpose of ogling in *pinball* articles is probably not going to encourage women to get into pinball and be a part of online communities. It feels more like a 13 year old boys’ club to me when I see things like this. It’s also unfortunate what goes on on Pinside – I’ve seen some threads there that are 10 times worse than what I’ve seen here. I haven’t spoken up there yet because my impression is the posters in some of those dumb threads are pretty, well, far gone. I have no idea if they’re even capable of bringing their empathy circuits online and actually reflecting a bit. Thanks for your comments Adam. While I appreciate your point of view, I also feel there is a long tradition of pretty and buxom girls adorning pinball machines, and if it’s good enough for Gottlieb, Williams et al then it’s good enough for Pavlov Pinball. It’s in line with that tradition that I have added a few pictures of pretty girls to liven up pages that would otherwise only have pictures of middle aged men and electrical hardware on them. If it didn’t have girls then it wouldn’t be pinball!